IF you want to add overall value to your property and want to make your residing place a bit more luxurious, you should definitely install a hot tub in your outdoors. Taking a dip into the tub makes a person feel refreshed and so it is believed that if someone wants to rejuvenate his soul after the day-long exhaustion, taking a bath in the hot tub should be the best option for him. Though having a hot tub is considered to be an excellent addition for any home but if you wan to get the utmost utilization, you need to keep the spa water clean. If possible try to clean the filters of the tub every week using the garden hose. On the other hand, once a month they need to be sprayed with degreasers or spa filter cleaner and then they need to be rinsed well. In this age different types of spa sanitizers remain available in market. So, considering your requirement and budget, you need to select the best purifier for your spa water. This work of sanitization needs to be done regularly, but if you feel that it will become impossible for you to do so, you can perform this job of cleaning twice a week. Sanitizing is mainly done in order to keep a balance between pH level and alkalinity. It is believed that dust particles, insects and unwanted debris are the causes for different water borne illness as well as allergies. So, in order to keep your spa water away from these pollutants, you need to use a hot tub cover. In order to ensure the proper functionality of the hot tub, you need to keep the hot tub filter clean. This filter cleaning is mainly done through two different processes- one spray cleaning and the other soak cleaning. However, which process you are going to choose should entirely depend on your tub filter type. How can you make your hot tub experience more enjoyable? 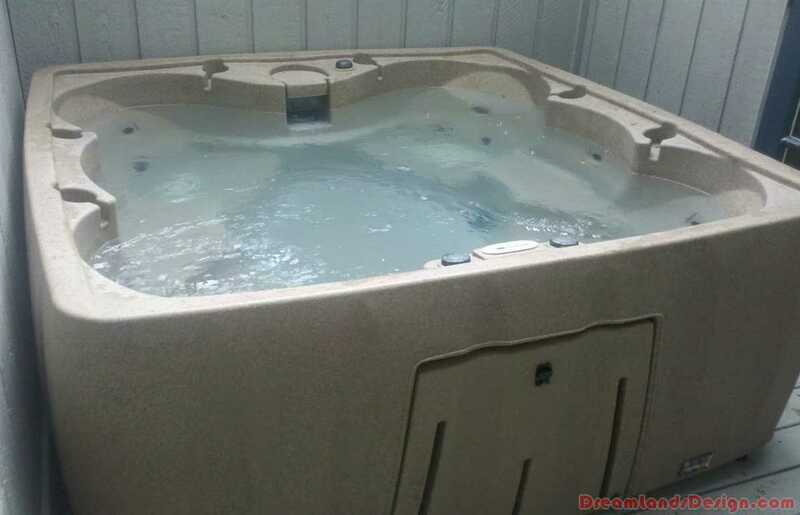 By keeping your hot tub in good working condition you can have a wonderful experience in your hot tub. How can you keep your hot tub in good working condition? Three hot tub accessories play a very important role in ensuring that. Using a hot tub cover and the correct accessories for cleaning hot tub can prolong the service of your hot tub. These also help in easy maintenance of the hot tub thereby, making it more energy-efficient. Hot tub cover is essential for the proper care and maintenance of hot tub. It protects the hot tub from dirt and dust and any kind of manual damages. It also keeps the temperature of the hot tub water in the right level. You should clean the hot tub cover once a month with warm soapy water. Otherwise the deposit of dirt, dust and snow can damage the moisture-proof quality of the cover. In case you are having difficulty in lifting the hot tub cover, you can buy a hot tub cover lifter to make your task easier and more convenient. Changing the hot tub filters is necessary to ensure that the filtration system functions properly. Always keep spare filters at store. As the quality of hot tub water depends on how clean are the filters. Clean the hot tub filter cartridge twice a week with a commercial hot tub filter cartridge cleaner. Using abrasive household cleaners can damage the filtration system. You can also buy an automatic filter cleaner for the deep cleaning of hot tub filtration system. Dry the filters well and then fit them back in the tub. Spa caddy is another hot tub accessory. It is generally attached to a side of hot tub. If you enjoy taking champagne or reading book while soaking in a warm hot tub, a spa caddy will make sure that your favourite book and glass full of champagne are in your reach. Spa caddy is a luxury feature and not that expensive like the other hot tub accessories. But it is also not that vital like them as well.